When James City County, VA says that it’s the “Birthplace of America,” it’s no marketing spin. James City County is where the legendary explorer, John Smith, landed and set up the British colony of Jamestown. The history of John Smith, his encounter with Pocahontas, and the indelible mark they made on the early formation of a new, young nation, is woven into the collective history shared by all Americans, and it all took place right in James City County—truly the Birthplace of America. Not only did James City County welcome the first settlers who would call America home, but it is also where the nation’s very first form of government was established. What is today James City County was formally created in 1634 as James City Shire by order of King Charles I. It is one of only five original shires of Virginia to exist today in essentially the same political form. 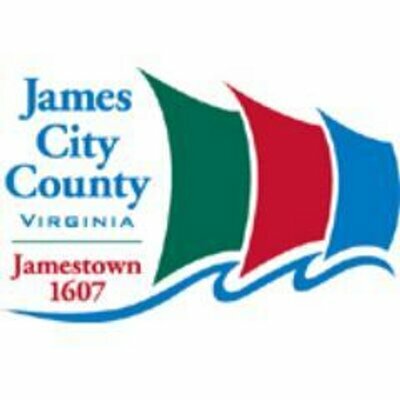 James City County was also named the capital of the colonies in 1699 and served for a period as the capital of the state of Virginia. For a community and a municipality steeped with such rich history, and that serves such an important role in the annals of American history, its leaders and residents are proud to call James City County their home. While history will always serve as an important foundation for the modern James City County, its leaders are focused on offering residents the modern conveniences and newest technologies available across the county. That’s why, when it came time to migrate to an innovative civic website content management system (CMS), for its county website design, the County chose to partner with CivicPlus®, the integrated technology platform for local government. According to Chris Coleman, James City County Web Interaction Designer, before transitioning to CivicPlus, the County utilized a website platform that was difficult to manage and keep updated. Having decided to migrate from its previous, outdated website to the CivicEngage® CMS from CivicPlus, Coleman focused on designing a new website from end-to-end that would allow the County to reestablish its digital presence. 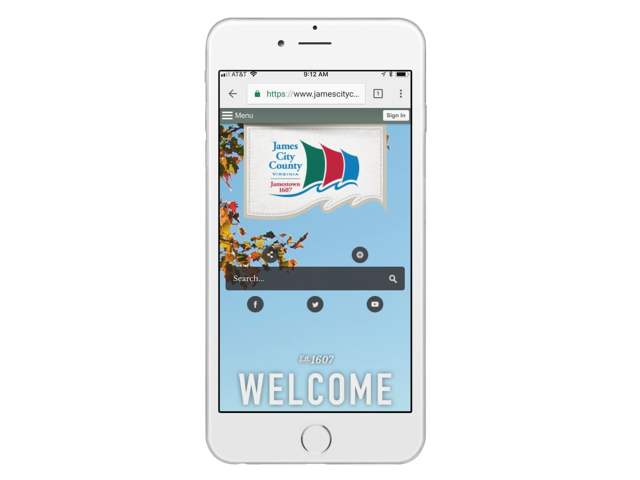 Throughout the redesign process, the James City County web team focused on ensuring the new website would prominently display the information and functionality that were most valuable to its residents. To help inform the team’s content, navigation, and organization decisions, Coleman met with all the County’s departments to discuss the essential services that each provides to residents. When it came time to make decisions regarding the design elements of the new website, the County’s goal was to re-envision its brand. To inspire a website design that would reflect the history and unique culture of James City County, CivicPlus website designers were provided with information about the County’s history and some historical photos as reference. What the design team came back with, was a fresh, modern design that paid tribute to the county’s vital history. Another important area of focus for James City County’s website redesign was in implementing a website that would be mobile responsive. Before launching its new CivicEngage website, the James City County web team met with one of CivicPlus’ trainers to ensure they not only were prepared for launch day but for successful long-term use of the CMS. James City County launched its new CivicEngage website in 2016. Since its launch not only have citizens benefitted from a more user-friendly and up-to-date digital tool, the County’s staff are able to use its new citizen self-service features to work more efficiently. According to Coleman, some of the greatest conveniences for citizens, and greatest cost savings to the County have been found through the use of the CMS’ integrated self-service features. Coleman adds that the CivicEngage Form Center feature has also allowed James City County to digitize and streamline several important service processes. Not only has the new James City County website been recognized as a success by County staff and residents, but it has also been recognized in several digital website award competitions. If you're ready to redesign your municipal website from ordinary to outstanding, click below to download our free website redesign planning toolkit. It's designed exclusively to guide local governments through the redesign process to optimize citizen engagement.